Google usually ignores special characters from queries, so you can’t search for 🙂 or x^2. There are some exceptions: popular terms that include special characters (c#, c++). 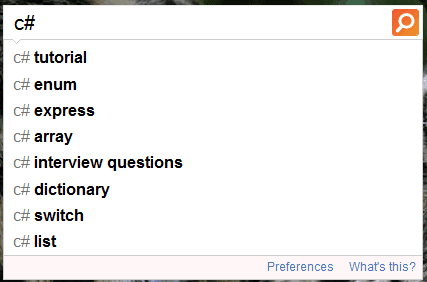 Google Suggest is less smart than the search engine and doesn’t offer relevant suggestions if you type c# books. 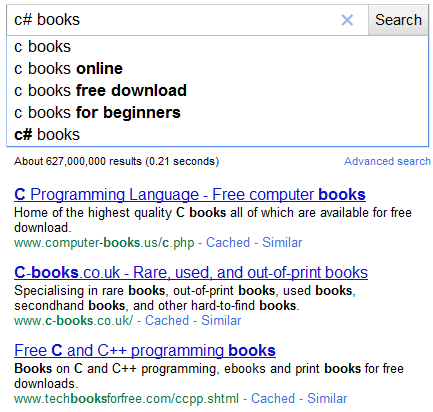 Google ignores the hash sign and shows the suggestions for c books. To find results for your query, you need to press Enter or to select the last item from the suggestion list. 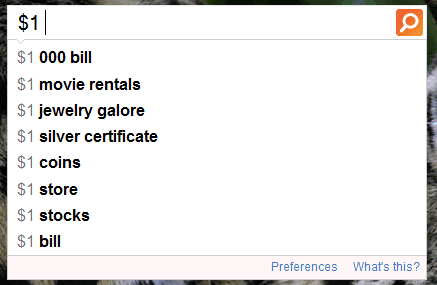 Another example: type $1 and Google shows suggestions for 1. Instead of showing relevant results for the query, Google displays the search results for [1 corinthians 13]. While Google Instant helps you type popular queries faster, sometimes it’s slowing things down because it shows the results for a different query.